School Service offers a variety of colors for most of its school forms. 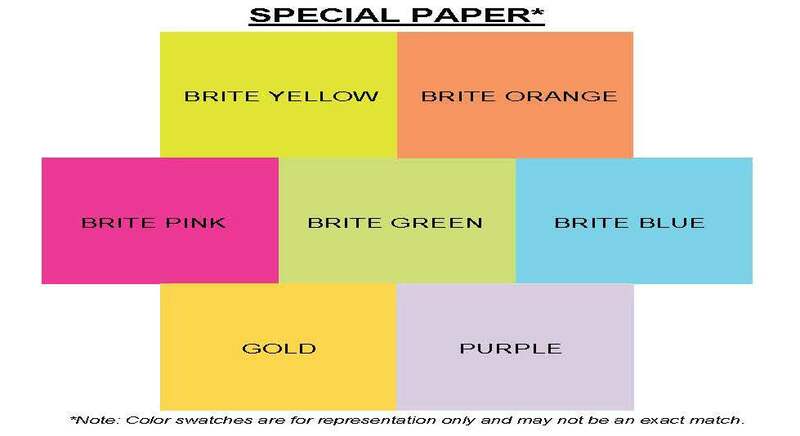 Customers can order te standard paper color for a specific form or order the form in a custom or special paper. Customers can contact us by email or by phone at (800) 747-9549 if there is an interest in a particular paper color for a particular or custom form.